Do you remember my post “T-shirts and how 60 is the new 60”? I talked about the brilliant Joe Johnston‘s T-shirt and the work of Marc Freedman and concluded that, despite understanding the sentiment, 60 is NOT the new 30 or 40 or whatever. We boomers are making it into a completely new way of being what it is, namely 60! We’re re-framing the big 6-0 and marking it as a time of energy and new beginnings. We are redefining later life. Got the idea? Well, I’m happy to say you can now get the T-shirt. Yes folks, I’ve taken that original design and tweaked it a little and thanks to one of those print on demand services, can now share the message in ultra-soft, 100% sheer jersey cotton form! 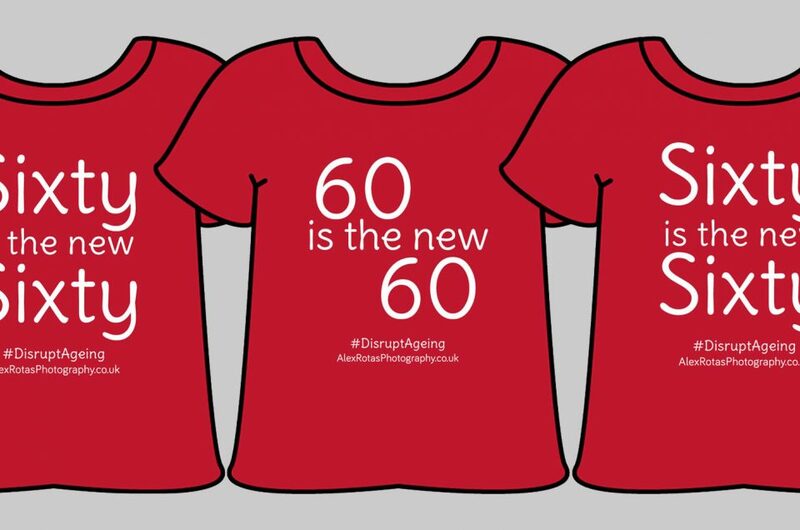 Whether you identify as a Boomer, a Mid-Lifer, a ‘young old’, an ‘effervescent old old’, a senior, an Elder or simply someone for whom the later years of life represent an opportunity for new adventures, this premium brand (American Apparel), casual top tells the world you are confident, intelligent, deep, unapologetic and witty. At least, that’s what I was aiming for! You’ve lived the life, go ahead, treat yourself to the T-shirt! >>> Zazzle.co.uk/AlexRotasDesigns. T-shirts are labelled as Men’s and Women’s, but the men’s is unisex and I’m pretty sure the women’s is too.